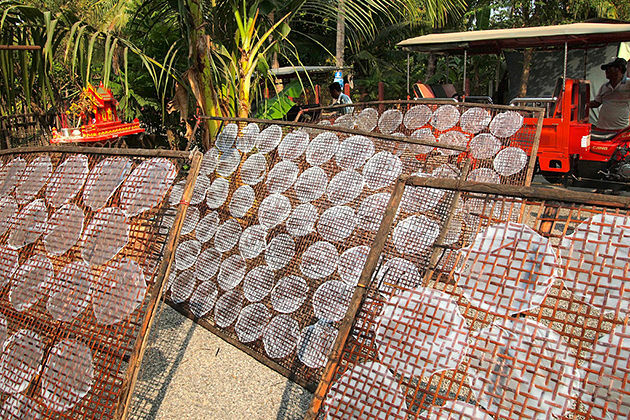 If you are really into Cambodian cuisine, culture, and crafts, this 7-day tour is especially for you. Dine at the authentic restaurant, join in cooking class, learn about the rural life to explore the culture as well as the crafts in the countryside. A ton of amazing things are waiting for your exploration. You will be met at Phnom Penh International Airport by the local guide and transferred to your hotel. Spend some time to refresh yourself after a long flight. To begin your Khmer cuisine tour, in the evening, you may tuck into a luxurious welcome dinner of authentic Khmer cuisine at the restaurant. 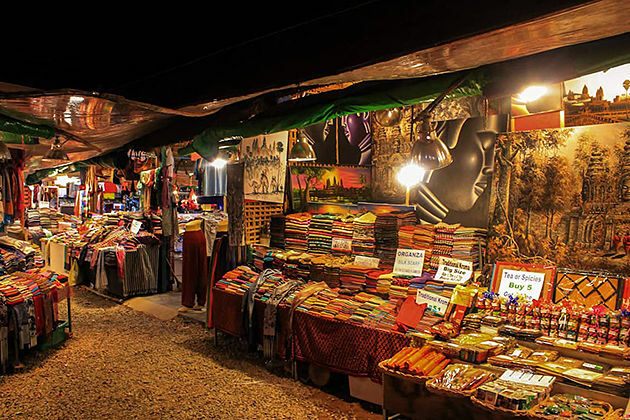 In the morning, head to the local market with the local guide who will show you more about the Khmer cuisine. Despite the fact that Cambodian cuisine may not enjoy the international reputation like its neighbors, its national dishes and regions provide insight into the country’s heritage. You may catch a traditional cyclo to the market and wander through the aisles, tasting some local fruits along the way, with your guide explaining the various ingredients used in the cuisine. Have lunch at a local restaurant, you will find the ingredients you just learned in the dished served. 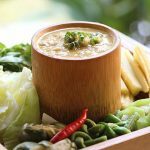 Try a delicious num pung, or French baguette and a nom bahn chok, a quintessential Khmer food consisting of rice noodles, green fish curry, and fresh vegetables. 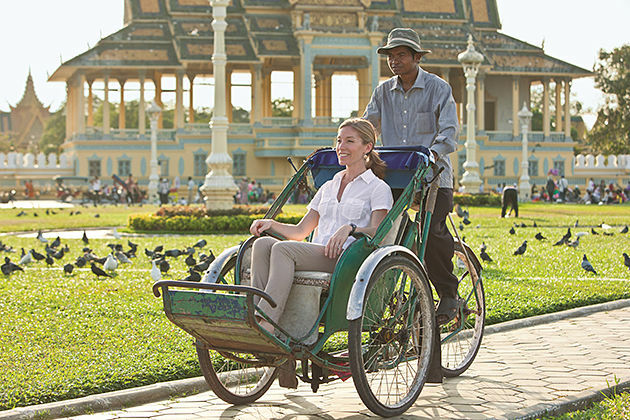 To continue the Khmer cuisine and culture tour, visit the Royal Palace with the guided exploration via cyclo. 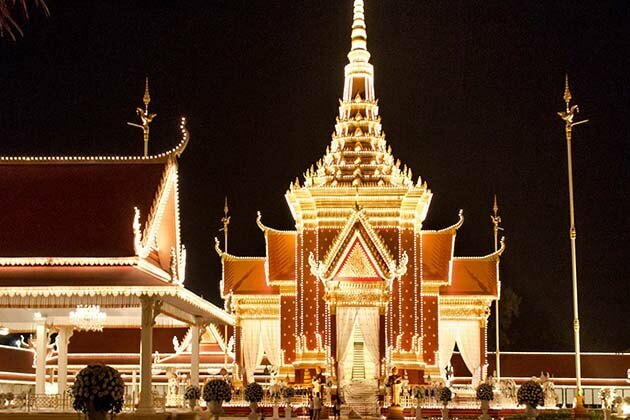 Then head to the Silver Pagoda which located in the same complex with the Royal Palace contains many Buddha icons made from gold, silver, bronze, and crystal. After that, the local guide may take you to the National Museum of Cambodia which was built in the traditional Khmer style. This is the largest collection of Khmer art in the world, which houses approximately 5,000 Khmer artifacts dating back to the 4th to 13th centuries. Wake up early in the morning for a scenic 5-hour drive by private car to Battambang. You have a great chance to see the local villages, pagodas on the way. 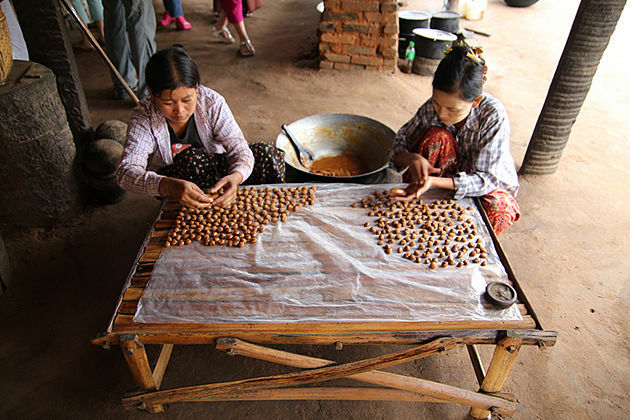 Stop at Oudong to visit a local family to get to know about palm sugar production before climb Mount Oudong to enjoy the panoramic views of the countryside. Have a local picnic-style lunch in a rustic hut. Then, go on your 4-hour drive toward Battambang where is a home to Cambodia’s best – preserved colonial architecture. If there’s time, you should enjoy a night at the renowned Phare Circus which surely leave a lasting memory of acrobatic feats, theater, and music unique to Cambodia. Although Battambang is the second largest city in Cambodia, its laid-back vibe stems partly from its river culture. The Sangker river winds through this lush province and feeds the rice paddies, like a picturesque of watercourse connecting the Cardamom Mountains to the mighty Tonle Sap Lake. The countryside of Battambang gains its reputation from the beauty and the quality of rice produced. In the morning, you may have a cultural tour to Battambang surrounding villages. 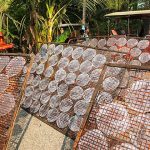 Join the locals and the artisans to learn how rice paper is produced, as well grolan – sticky rice stuffed in bamboo, prohac – fish paste, a Cambodian staple. 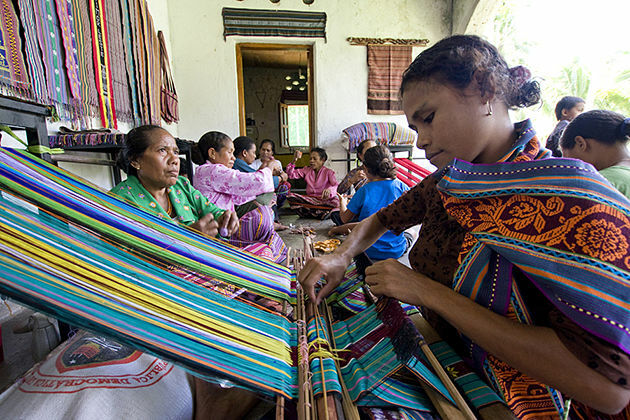 To see the weavers and textile artisans in action, visit a handicraft center. In the afternoon, wave a cyclo to go around the town guided by an informative audio set which is available in English and French. Just enjoy the trip on your seat, ask the driver to stop at anywhere you find something attracting you. Today, you may take an exciting boat trip from Battambang to Siem Reap with spectacular views of the countryside in Cambodia. 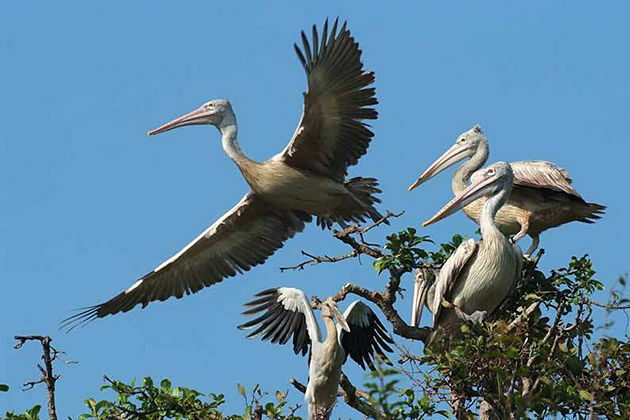 The route will include cruising down the Stung Sangker River to the Prek Toal Bird Sanctuary, one of the crucial breeding grounds for birds in the region. 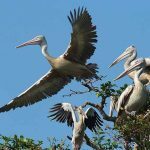 Go along Tonle Sap Lake, Southeast Asia’s largest freshwater lake. You will also go through the floating villages and stilted houses, giving you the entire life on the water. After 6-hour boat ride, you will reach Siem reap in the mid-afternoon. However, this boat trip is only possible in the rainy season, that is from July to December. 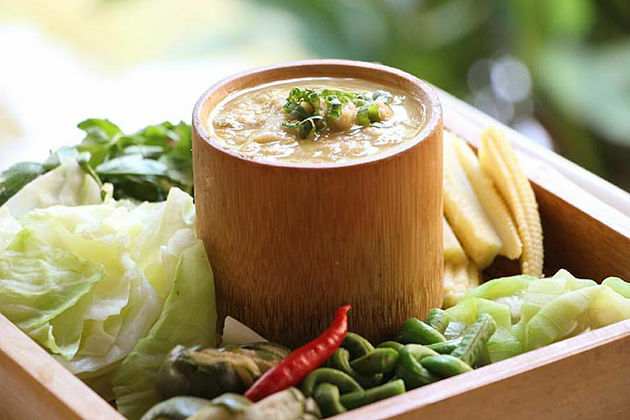 To get a deep understanding of Khmer cuisine, take an interactive cooking class at the home of the founder as well as the owner of the Sugar Palm restaurants in Phnom Penh and Siem Reap, Mrs. Kethana Dunnet. At the end of the course, you may get a chance to enjoy the lunch that you have just cooked including two appetizers and two main dishes. 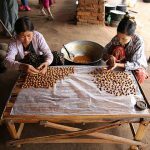 After lunch, you may visit the Golden Silk Pheach Farm in which the ancient Khmer-style silk weaving is being revived as a viable local livelihood by a local non-governmental organization. In the mid-afternoon, come back to Siem Reap to capture the sunset in Angkor Wat. After enjoying your breakfast at the hotel, spend the last day to explore the Angor complex. In the early in the morning, enjoy the sunrise when the temples reflect into the water making the magnificent view. 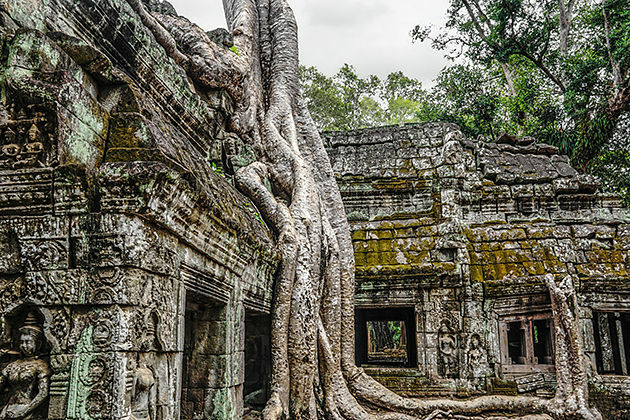 Then visit the temples in Angkor Wat – the wonder of peace, secret and power. 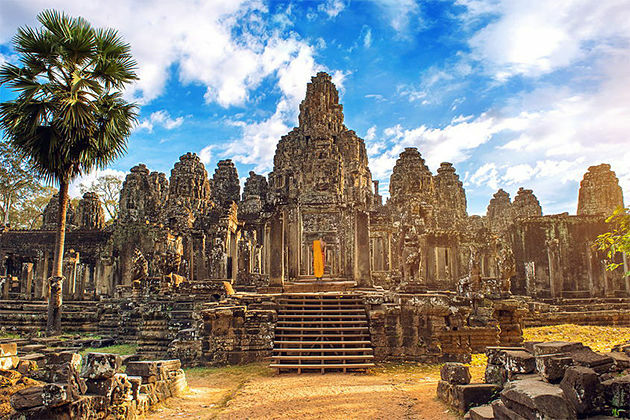 Next, head to the Angkor Thom to visit Bayon Temple, Phimeanakas, Terrace of the Elephants, Terrace of the Leper King, North Gate. Come back to your hotel in the late afternoon and enjoy your leisure until transfer to Siem Reap International Airport. 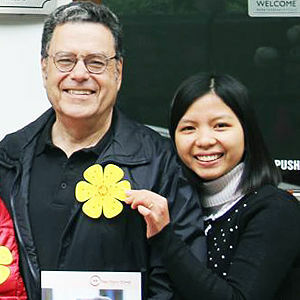 Knowledgeable, flexible and friendly are three main characteristics of our tour guides. With many years of experience in this position along with a strong passion for Cambodia – the land of suffering and glory history, we guarantee you authentic adventures which full of joy and memorable experience. 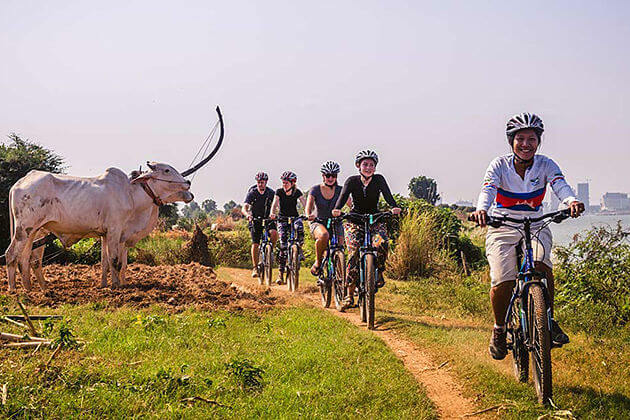 We want to tell you the magic story about the Empire of Temples, show you the Cambodian spirit and let you experience the rhythm of rural life and landscapes in Cambodia’s countryside. Let me be a part of your journey to share and support you! Once being a person who has special love for traveling, I had a chance to set my foot on almost every corner of Cambodia. Therefore, I strongly believe that I can provide all you need and share all you want. Contentment of clients courage me improve endlessly my services and skills. Understanding deeply all the demands of clients, I always design products with all passion and confidential. Feel free to contact me if you need any information as well as any special demand fỏ your Cambodia vacation, I will try my best to satisfy you. 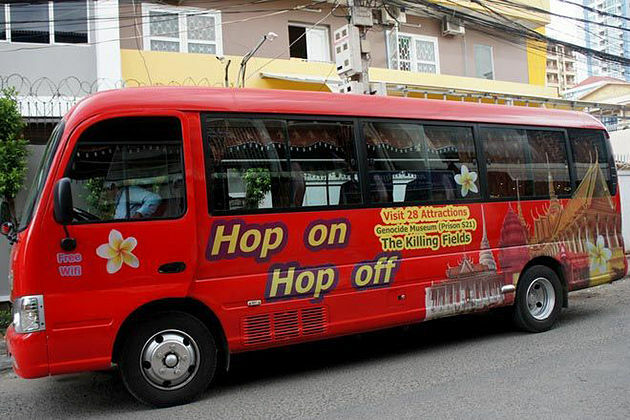 Go Cambodia Tours - Congratulations! 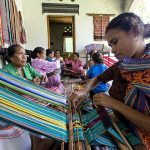 Go Cambodia Tours tailor-makes unique tour packages, sightseeing adventures and activities to help travelers explore Cambodia on their way. We are a passionate team of one hundred avid travelers who love to share our experiences of Cambodia with those looking for a more authentic travel experience. 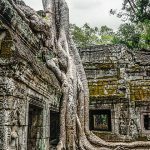 How to Book A Cambodia Tour?